Exact solutions are obtained for models of general scalar-tensor gravitational theories admitting the existence of privileged coordinate systems in which the eikonal equation can be integrated by the method of complete separation of variables of (2.1) type. 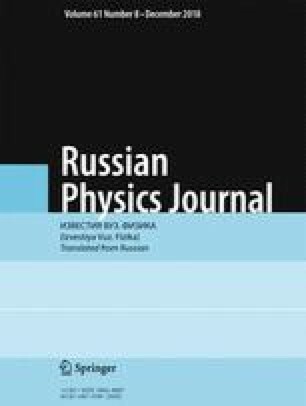 Characteristics of radiation and explicit forms of functions of the scalar field entering into the field equations of generalized scalar-tensor gravitational theory are obtained. Translated from Izvestiya Vysshikh Uchebnykh Zavedenii, Fizika, No. 8, pp. 17–23, August, 2018.